Ideal partner for the largest companies specializing in the design and implementation of storage systems and logistics, we can provide special profiles of semi-committed, high quality and precision to the needs of all sectors of industry trade. A wide range of solutions for companies that deal with storage and handling of goods, from simple shelving, pallet rack to complex modular systems used for automated warehousing and logistics solutions complex. 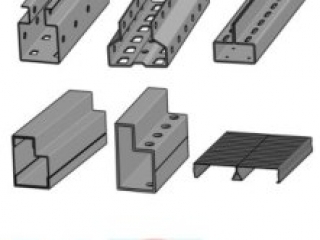 Of course the examples given below are only an indication, the profiles are in good part, manufactured and produced to order and patented, then by your design follow a careful study prepared by our competent technical department in order to obtain the section and the best quality for your needs.